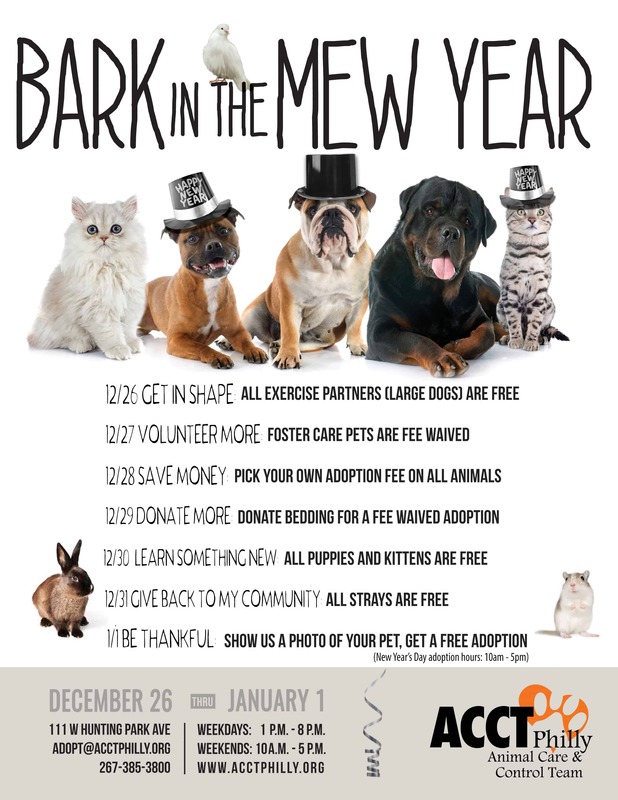 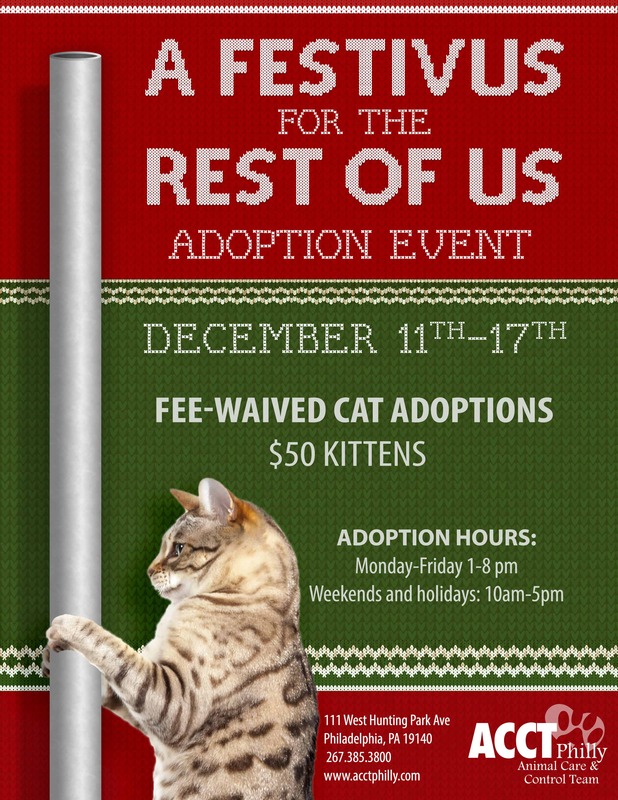 In addition to general discounted adoption fees throughout the month, we’ve got super special prices during our December events and promotions! 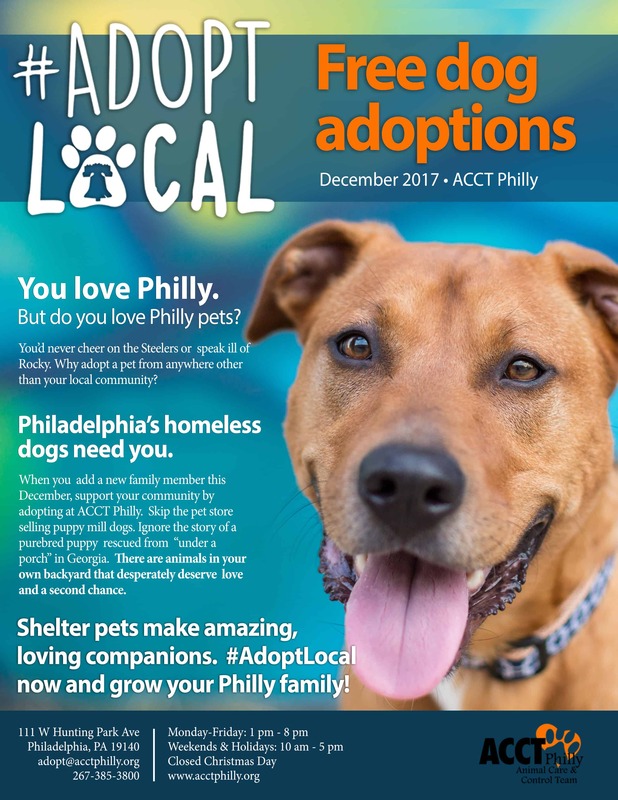 Please note, pricing is only applicable for pets at the shelter on Hunting Park Ave.
Special adoption promotions every day! 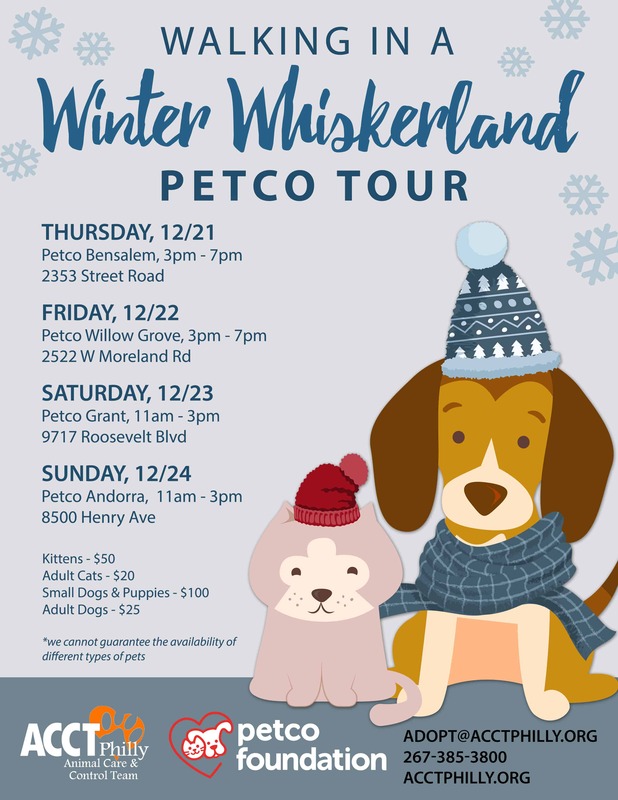 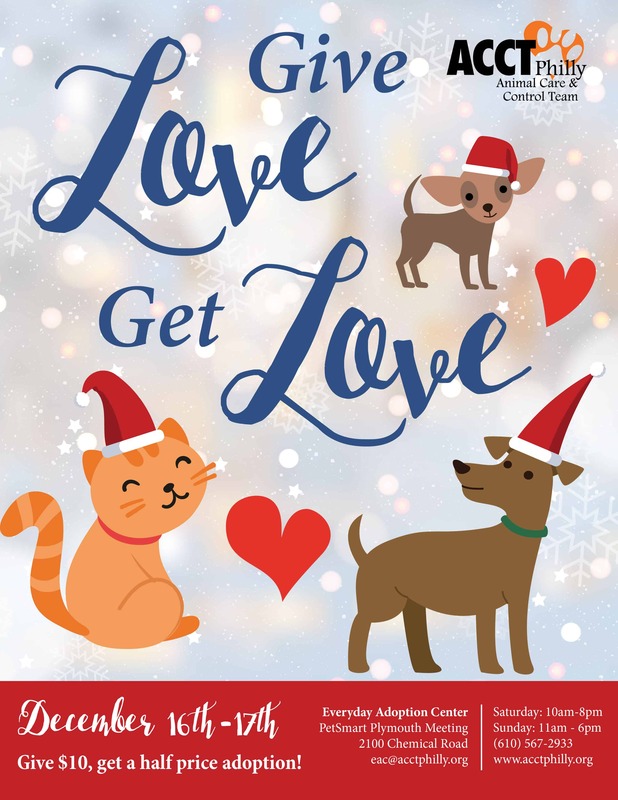 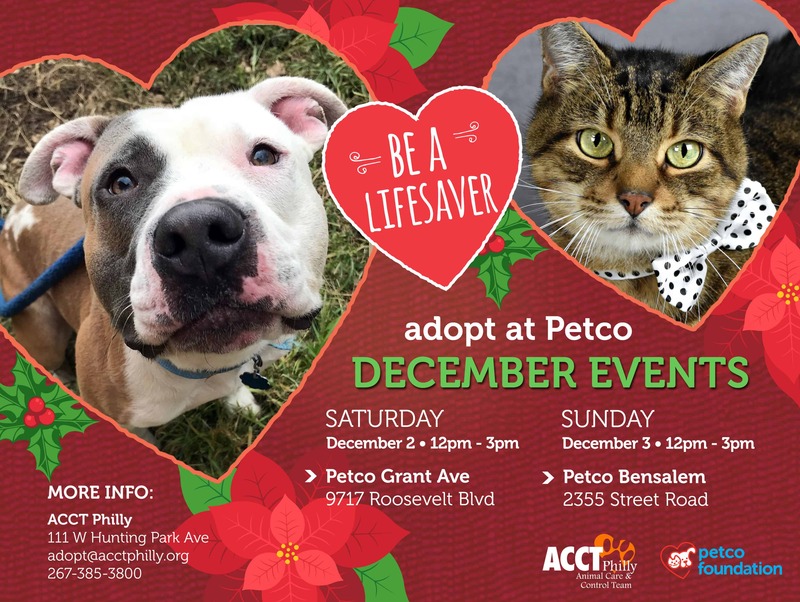 December 2nd, Petco Grant, 12 p.m. – 3 p.m.
December 3rd, Petco Bensalem, 12 p.m. – 3 p.m.
Special adoption pricing at a different Petco every day!